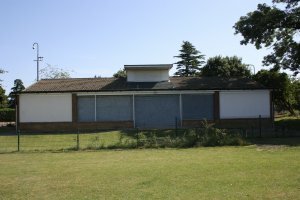 The Sports Pavilion is situated just off Vine Hill Drive, Higham Ferrers on Saffron Road Recreation Ground. There is a car park adjacent to it. 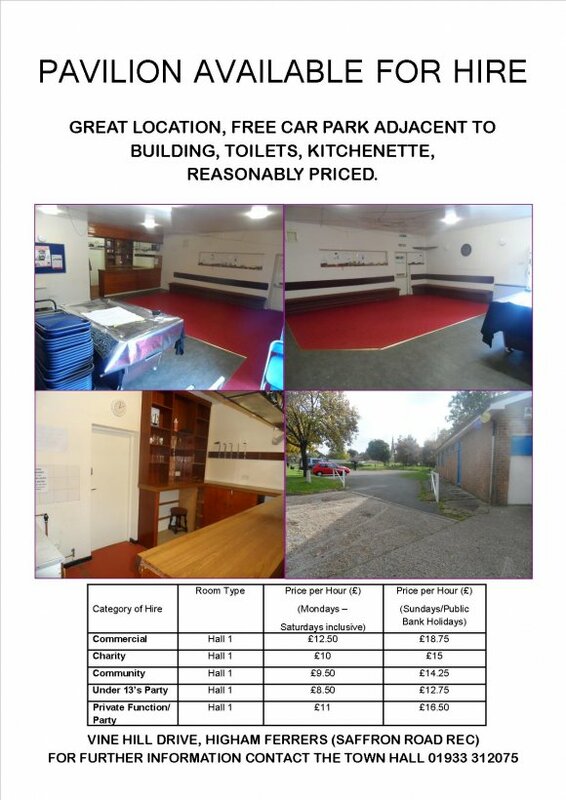 It is used by Higham Ferrers Cricket Club, Risdene Rovers and Higham Ferrers FC, as well as a youth group on Wednesday evenings. The pavilion has a room that can be booked for meetings or small parties. There is use of a kitchen. It is not available on Saturdays during the cricket season.